We are providing 600 quilted denier ripstop cloth to nylon quilted rugs that includes nylon lined 250 gsm polyfill quilting is considered to be one of the most popular materials that is widely demanded in the market. 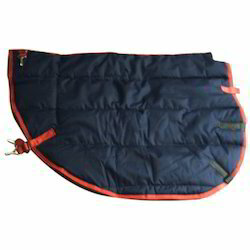 We also offer detachable leg strap for free movement in nylon quilted rugs and fleece wither protection which is an essential attribute of equestrian product. 1680 Denier Nylon High Neck Turnout Rug Code – CE/1131 Description – 1680D x 1680D 2 Ply Ballistic Nylon (Oxford weave) Waterproof & Breathable Outer. Completely Seam-taped and bar-tacked at all pressure points. 300 gsm polyfill padding with cotton Lining. Quick release front closures, with low cross-surcingles & detachable leg straps. We manufacture waterproof breathable nylon rugs in various patterns and a variety of colors. 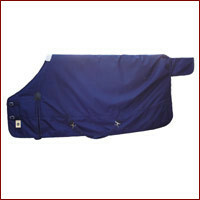 Made from 100% nylon these are designed to protect the horse completely during the winter season.